I got my estate planning done with these guys last year. They were efficient and affordable! I have referred my entire extended family there and we feel like we are in good hands. I had a mess prior to meeting with Alejandra. They took the time to meet with me, go over my assets, and look for tax efficient ways to pass those assets along to my next generation. They have done my family a huge favor and I am very grateful! Keep up the good work! Julian is the best. I finally was able to recuperate the Estate of my late husband, that was stuck in the system. Julian is very honest, efficient and affordable. Thanks for everything.! Alejandra is simply the best. If you want great legal advice, good service, and your phone calls retuned, then this is the Firm for you! An outstanding law firm with top notch attorneys! Friendly, knowledgeable, and brilliant attorneys. Alejandra has been an amazing lawyer and friend. 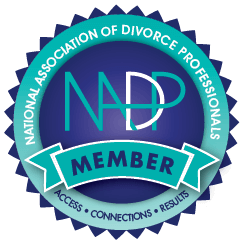 Has helped me with all my family law needs. Goes out of her way to help. I strongly recommend her for anything regarding to law. I endorse this lawyer. Julian is an exceptional attorney. His knowledge on estates and trusts is uncomparable. I would hire this attorney without hesitation. Julian is knowledgeable, practical and HONEST. He cares for his clients and is always available to help another attorney. I highly recommend Julian! Julian Casal, was very professional and helped me to get the estate of my late husband. It was not an easy process because a long time had gone by and we had to track the assets, and also because the distribution of the estate implicate beneficiaries from other country and some minors. I highly recommend Julian, for his efficiency, honesty, affordable rates, and his courtesy. I endorse this lawyer. Alejandra is very knowledgeable and compassionate. I trust her to handle my family's probate when the time comes. Alejandra, Is very knowledgeable in Probate and Estate Planning. I've referred her cases and found her firm to be very capable and qualified to handle these types of cases.